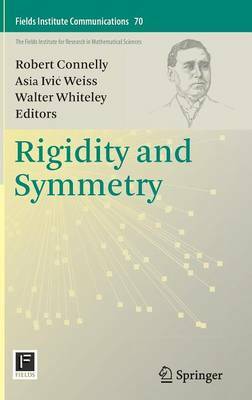 This book contains recent contributions to the fields of rigidity and symmetry with two primary focuses: to present the mathematically rigorous treatment of rigidity of structures and to explore the interaction of geometry, algebra and combinatorics. Contributions present recent trends and advances in discrete geometry, particularly in the theory of polytopes. The rapid development of abstract polytope theory has resulted in a rich theory featuring an attractive interplay of methods and tools from discrete geometry, group theory, classical geometry, hyperbolic geometry and topology. Overall, the book shows how researchers from diverse backgrounds explore connections among the various discrete structures with symmetry as the unifying theme. The volume will be a valuable source as an introduction to the ideas of both combinatorial and geometric rigidity theory and its applications, incorporating the surprising impact of symmetry. It will appeal to students at both the advanced undergraduate and graduate levels, as well as post docs, structural engineers and chemists.